Defense Secretary Jim Mattis told reporters on his way to a NATO meeting in Belgium that the Pentagon's plan in the Syrian conflict is to eventually break up the territory along the Euphrates River into so-called "deconfliction" zones. This shows Mattis is leaving the U.S. strategy open to letting the Assad regime and Iran control territory in the region. Why it matters: This pits Mattis and the Pentagon against some officials in the White House, who are pushing for a fight against Iran for territory after ISIS is rooted out. 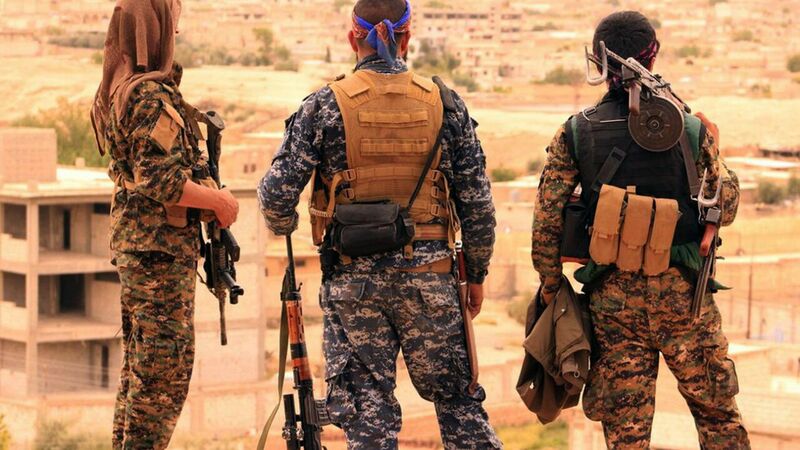 The Pentagon is sticking to its statement that it doesn't want a fight with pro-regime forces, but the recent escalation of U.S. clashes with pro-regime forces in the region tell a different story. Mattis might be hedging his bets on the strategy and said Tuesday "it's not like the fight's over when Raqqa's over."